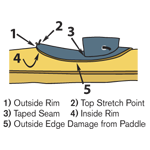 When zips stick, you can really get in a jam – and forcing the issue usually ends in a zip repair. 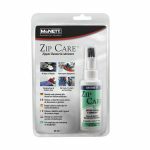 Lubricating zips is a better way to go, especially when it’s as easy as using Max Wax from McNett. 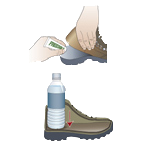 Max Wax stick zip lubricant is ideal for protecting all kinds of zips from getting stuck. Just glide it along metal zips, plastic zips, wet suit zips, boat zips and luggage zips. 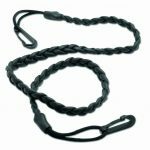 In fact, there aren’t many zips that won’t benefit from the silicone-free lubricant in Max Wax. 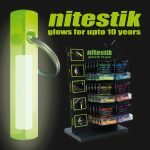 It works in all water temperatures and the most extreme weather conditions. A stiff, stuck zip is a useless zip. Keep them sliding like they should with McNett Max Wax. 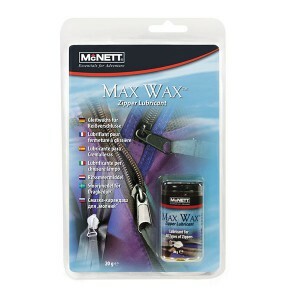 Max Wax™ is part of the McNett M ESSENTIALS™ product range. Regular cleaning and lubrication helps zips last the lifetime of the suit. Without proper care (left), expensive zips degrade and need costlyreplacement. Keep your wet suit, dry suit, gear bag zips free of harmful dirt, sand and salt deposits with Max Wax. Broken zip tooth on a dive gear bag? Stitch the damaged section closed to prevent further separation until you can repair properly or replace. Preclean zips with Zip Care. Apply to teeth of zips. Open and close zipps to distribute lubricant evenly. Reapply regularly. Store in cool, dry place. Keep away from heat and direct sunlight.